Yet another article—this one from Inside Higher Ed—is purportedly documenting the idea that MOOCs (massive open online courses) are dead—again. Which is news to those of us who are current relishing and being transformed in dynamically positive ways by George Couros’s #IMMOOC (the Innovator’s Mindset massive open online course). #IMMOOC and others are far from being the educational equivalent of the zombies inhabiting the mythical Land of the Living Dead Learning Opportunity; in the best of situations, they are dynamic learner-centric, inspiration-laden learning spaces where communities of learning can and do develop. My experiences with #etmooc (the Educational Technology & Media MOOC) a few years ago provided numerous surprises that I’ve documented extensively on this blog and elsewhere: it showed me that online learning is every bit as productive and rewarding as the best of my onsite learning experiences have been. It helped me realize that creating seamless blended (onsite and online) learning spaces was far from a dreamy never-in-our-lifetimes possibility. It has helped me foster an appreciation for an extended use of blended learning among colleagues and other learners. And it has transformed the way I approach my own training-teaching-learning-doing endeavors. One of the most unexpected and rewarding aspects was the realization that the communities of learning that develop in a course (onsite or online) could, as soon as they become learner-driven by those who see themselves as “co-conspirators” in the learning process rather than sponges striving for little more than a grade or a certificate of completion, take on a life that can and will continue far beyond the timeframe of any individual course or other learning opportunity. The #etmooc community continued actively online for more than three years; it was only when numerous key members of the community changed jobs or retired that the impetus community members had for continuing to meet vanished and the community became dormant. Yet another unexpected and rewarding aspect came with the realization that the community of learning fostered by a well-designed and well-facilitated is not a closed community. Many of us in #etmooc found that our course-based explorations put us in touch with others who were not in the course—but who became interested in the #etmooc community—because of the two-way (and sometimes multi-way) face-to-face and online conversations that started in #etmooc, continued via social media tools and other resources, and further added to the development of the #etmooc community by drawing those non-#etmooc players into the land of #etmooc. For me, it was a wonderfully expansive example of what Frans Johansson so clearly described as “The Intersection” in The Medici Effect—the type of third place (e.g., a pub) where strangers briefly come together, exchange ideas (involving plenty of listening as well as talking), then disperse and help disseminate those ideas among others whose paths they cross long after the original pub discussions (or MOOC community of learning discussions) took place. I saw this in action again last week in terms of the #IMMOOC community expanding beyond its tremendously permeable walls when I helped initiate a one-hour conversation about one particular aspect of The Innovator’s Mindset with colleagues who meet online to record sessions of Maurice Coleman’s podcast T is for Training. The conversation began with little more than participants having a link to an online resource—“8 Characteristics of the Innovator’s Mindset (Updated)”—that George Couros wrote and eventually incorporated into his book. We summarized the resource during the first few minutes of that episode of T is for Training, then used it as a springboard for a discussion exploring how it could be incorporated into the library training-learning programs that we help shape and facilitate. The result was that, by the end of the hour, we were energized and ready to transforms the words from The Innovator’s Mindset into concrete actions designed to support innovative approaches to learning within the organizations we serve. We had also created a new learning object—the archived recording of the discussion—that contributes to the resources available to those exploring the topic—including those of us participating as co-conspirators in #IMMOOC. And we had created a new, ready-to-expand Intersection whereby the T is for Training community and the #IMMOOC community might meet and grow together. And the next possibility—that others who have not participated in T is for Training or #IMMOOC might now begin interacting with the fostering the positive actions both communities support—is a possibility ready to spring to life. Which is not, all things considered, a bad result coming from a form of learning that has just, once again, been declared dead and active only as one of an ever-increasing league of Zombies of Learning. N.B. — This is the sixth in a series of posts inspired by Season 3 of #IMMOOC. The last person who tried to convince me I should learn about something that, to me, held no value probably pushed me well down the road of transition from lecturing and advocating to facilitating, listening, and co-learning—something I remembered while attempting to answer the questions “What is one thing you used to do in education that you no longer do or believe in? Why the change?” as part of my participation in the third season of George Couros’s #IMMOOC (the Innovator’s Mindset massive open online course) last week. She was a wonderful colleague, deeply immersed in and a strong proponent of using Twitter. And she seemed to believe, in her social media heart of hearts, that anyone not using Twitter was somehow leading a sadly diminished existence somewhat akin to living in the gray, war-devastated zone of a dystopian novel. So, while we sat side by side during two days of meetings, she attempted to convince me that I, too, should be using Twitter. She tried all sorts of things: telling me how great it was. (I wasn’t convinced.) Telling me what it could do for me. (Other social media tools were already doing those things for me.) Talking about who else was using it and how I could be in touch with them via Twitter. (I was already in touch with them in many other ways—including sitting with them in that room during the dynamic conversations we were having during that two-day period.) And finally—after nearly a day and a half of friendly cajoling and strong advocacy on behalf of Twitter, she asked a question that resonated: if I wanted a relatively quick answer to a question or situation that was stumping me, would I want quick and easy access to thousands of people who might be able to provide that answer? When she pointed out that Twitter could provide that level of access, she—and Twitter—had me. What she also had was a learner who could see how the (minimal amount of) effort required to learn about and use Twitter might provide magnificent, appealing, productive results. So I was won over to Twitter. But not—as I realized at the time and now again as I recall that moment—by her zealous advocacy. It was the act of finally identifying an unfilled need and offering a proposed way to fill that need that finally led me to my long-standing engagement with colleagues through Twitter as one medium for that engagement. I walked away from that experience with at least two valuable transformations: a willingness to adopt and embrace Twitter as one of many tools I use every day to work and play (including the weekly tweet chats that are an integral part of participating in #IMMOOC), and a visceral understanding of and appreciation for the power a trainer-teacher-learner-doer wields in fostering positive transformations through collaboration more than through wordy explanations and coercion. It’s a lesson that actually embedded itself into the “Rethinking Social Media” course I have taught many times and will again be teaching in November 2017 for ALA Editions. I start, in the pre-course publicity and in the Week 1 course introduction, with an assurance that I won’t be requiring learners to become short- or long-term users of any of the social media tools we will be exploring. I also assure them that our online learning space is a guilt-free zone: they can spend as little or as much time as they care to spend with Twitter, Facebook, LinkedIn, or any of the other tools we will be studying as potential tools to further connect them with colleagues, library users, and anyone else they want to attempt to reach through those tools—as long as they reach the learning goals they (and their employers) have established for themselves. I also strive to keep the “lecture” part of the course as short and engaging as I possibly can, with frequent interruptions designed to stimulate responses and learner-centric activities. Learners in my courses are, as much as they want to be, co-conspirators in the learning process. We learn from each other. We have as much fun as we can as they alter assignments to meet their own specific learning needs in ways that they can quickly apply within their own work (and other day-to-day) environments. And, in the best of situations, we stay in touch for weeks, months, or even years after a course formally ends. Because we understand that learning doesn’t have to be an endeavor with definitive starting and ending points. We learn by exploring. Doing. Failing. And failing again and again. Until we finally reach the goals we have helped establish and that are meaningful to us, to our employers, and to those we ultimately serve. So I no longer deliver long lectures; my face-to-face and online presentations are designed to be as short as they can be; highly interactive; and responsive, in the moment, to the responses my co-conspirators offer. I try to keep my advocacy to a minimum. And we all seem to be a bit better off—and happier—as a result. N.B. — This is the fifth in a series of posts inspired by Season 3 of #IMMOOC. The new-to-me practice of reading intensively beyond the page as part of my participation in the third season of George Couros’s #IMMOOC (the Innovator’s Mindset massive open online course) struck gold again this morning. Slowly making the transition from Week 2 to Week 3 of the six-week virtual voyage in this highly-interactive, rhizomatically-expanding course, I was rereading the section of The Innovator’s Mindset: Empower Learning, Unleash Talent, and Lead a Culture of Creativity detailing the eight characteristics of the Innovator’s Mindset and decided to spend a little more time with the fourth item, which centers around the idea that “Networks are crucial to innovation” (p. 52). Because I was following my newly-established habit of reading a print copy of a book while sitting in front of a laptop computer or with a mobile device handy ­so I would have immediate access to online resources, I made the leap from printed page to an online resource to learn more about a writer Couros mentioned in that section of his book. The result was that instead of having only a passing familiarity with Tom Kaneshige through Couros’s one-line reference to his work, I ended up reading the entire (short) piece Couros mentioned. Picked up a new, wonderfully evocative phrase (“Liquid Networks”) that connects with other familiar but differently-named ideas (including Ray Oldenburg’s concept of the third place as a place where ideas are exchanged, are nurtured, and thrive). And walked away with a much richer, deeper appreciation of Kaneshige’s work than I would have had if I had stayed within the confines of the print edition rather than making the piece by Kaneshige an integral part of the book I am re-reading. I almost made it through the next paragraph without again weaving print with online content, but wanted to know more about Couros’s next reference—to Steven Anderson’s remark that “Alone we are smart, together we are brilliant.” With little more than Anderson’s name and the knowledge (from Couros’s writing) that Anderson is a “well-known educational speaker and writer,” I had little difficulty tracking him down with the keyword search “Steven Anderson educator.” And was completely surprised to find the full quote at the top of Anderson’s Twitter account. Which struck me as being a bit odd since the tweet was posted in September 2013 and it is October 2017 as I write these words. “Could he,” I wondered, “be one of those people who rarely uses Twitter, so hasn’t been active since that four-year-old post was written? “Did someone just finish retweeting it so it again appears at the top of his feed? It only took a few seconds to see that there were more recent—much more recent—tweets there, including four posted within the last 24 hours…one of which was a link to a magnificent resource (a chart displaying “12 Principles of Modern Learning” and including short descriptions of the “principle,” along with a “reality” and an “opportunity” for each principle). My head is spinning. I have, in less than 10 minutes, gone from being completely unfamiliar with Anderson’s work to seeing that he has a tremendously valuable (free) online resource (his Twitter feed) for any trainer-teacher-learner-doer. Exploring that resource in the most cursory of ways, yet walking away with another resource (the 12 Principles chart). And taking the natural step of following that Twitter feed so I will have Anderson’s wisdom and resources as additional elements of my own ever-expanding blended (onsite-online) learning environment. There’s one final step to take before I return to re-reading that chapter of Couros’s book. I’m doing this for #IMMOOC as much as I’m doing it for myself, and a central element of participating in a connectivist MOOC like #IMMOOC is to connect with my course co-conspirators, so I use tinyurl.com to create a link to the tweet with the “12 Principles,” transfer it into a tweet I am composing, then add the #IMMOOC hashtag to the tweet and send the whole thing out into the Twitterverse so my MOOCmates, friends, and colleagues will have access to it. Learn from it. And retweet it so this latest personal learning moment grows rhizomatically and helps change our view of our world—one tweet at a time. Then return to The Innovator’s Mindset to finish my morning reading. N.B. — This is the fourth in a series of posts inspired by Season 3 of #IMMOOC. The experience of immersing myself in the third season of George Couros’s #IMMOOC (the Innovator’s Mindset massive open online course) continues to take me down intriguing, dynamic, transformative paths well worth exploring. This exploration of innovations in training-teaching-learning with co-conspirators from all over the world (connected via live, interactive YouTube presentations; a drinking-from-a-firehose rapid-fire Twitter feed and weekly tweet chats with a learner’s guide; interactions on a course Facebook page; cross-pollinating blog posts such as this one, where conversations continue; and probably myriad other learning threads I haven’t yet discovered) is high-energy, high-level learning at its best. And the very act of participating stimulates the types of innovation the course itself inspires us to explore. Continuing to “read beyond the pages” of the printed copy I have of The Innovator’s Mindset, for example, I once again viscerally feel the difference, this afternoon, between the act of simply reading a line of text and the act of enriching our understanding of that line of text by going back to the source that inspired the thought behind that line. Reading Couros’s one-line summary of Simon Sinek’s talk “How Great Leaders Inspire Action” from TEDx Puget Sound in 2009 (in Chapter 1 of the book), I was left with the following perfectly serviceable idea: “…he [Sinek] explained that all great organizations start with their ‘why’ and then move toward the what and the how.” I had a vague idea of what that implied. I was perfectly ready to keep reading to see where Couros was going to take us. Then I remember how much I enjoyed taking advantage of the access online resources provide to deeper levels of reading/thinking/learning last week, during Week 1 of this six-week course. So I stop watching the clock and worrying about whether I have enough time to take another deep dive. Take the 18 minutes required to actually watch that TEDx talk. Re-view parts of it. Take notes on my laptop. Then transfer those notes into a rough draft of this piece-in-progress. By the time I am finished, I have an ocean-deep appreciation for what Couros is trying to convey and, more importantly, what Sinek, in his TEDx talk, calls “The Golden Circle”: circles within circles (sort of like the circles within circles of learning in which I’m currently engaged). Sinek’s Golden Circle is comprised of a small, middle one having the word “why”; a middle circle containing the word “how”; and a larger outer circle holding the word “what.” He explains that by starting with the word “why” when we address someone with whom we are trying to make a connection, we are engaging deeply-embedded brained-based feelings and motivations that hook our intended audience. Make those audience members part of our dream. And invite them to actively be part of making that dream real. By reading that line from Couros and then watching the video and then looking for related resources (including an online reproduction of The Golden Circle), I have gone from seeing an almost throw-away line of text morph—through this blended on-page/online approach to reading—into something that is becoming a memorable extended two-hour moment of transformative learning—simply because I give it the time and effort it so obviously deserves. And by the time I reach Sinek’s concluding lines in that TEDx presentation—“…those who lead, inspire us. Whether they are individuals or organizations, we follow those who lead not because we have to, but because we want to…”—I realize that simply having read that line without having heard the preceding 17 minutes of set up (as you are doing at this moment) would have meant the words had far less impact and stickiness than they had as a result of my mini-deep-dive into what Couros described in a subsection (“Have Schools Forgotten Their Why?”) in his chapter “What Innovation Is and Isn’t”—part of our reading for #IMMOOC this week. As I finish reading the first chapter of The Innovator’s Mindset, I circle back to one of the opening sections and reread the words “We need to prepare kids for jobs that don’t exist”—a theme I’ve been exploring for many years, most recently with my colleague Jonathon Nalder at Future-U. I think about how this course is preparing me for actions I hadn’t even thought would exist for me as a result of becoming part of the #IMMOOC community. And I hope that if you have the time and inclination to do so, you, too, will create training-teaching-learning-doing opportunities you might not yet know exist—by reading the book and joining whatever part of the #IMMOOC community you can find as you read these words. N.B. — This is the third in a series of posts inspired by Season 3 of #IMMOOC. I’ve come to love the tweetchat format in training-teaching-learning-doing for all it inspires and provides. When sessions are well-facilitated (as the #IMMOOC session was), the online 140-character-per-tweet conversations (currently morphing into 280-character bursts) are extremely stimulating and well worth revisiting through online transcripts when their organizers archive them, as our #lrnchat colleagues do. Or when someone takes the time to create a transcript using Storify, as I occasionally do. Seeing the original online snow-flurry-of-tweets-at-the-speed-of-light translated into the much-more digestible transcript format creates room for review. Reflection. And extended moments of inspired thinking. Sharing. And additional collaboration. The transcript provides a vessel to more effectively navigate the numerous rapids in the fast-flowing river of interconnected thoughts springing from a community engaged in what it does best: learning collaboratively. One notable result is immersion in a learning object (the transcript) created by the learners themselves/ourselves through the learning act of participating in the tweetchat. It makes the learning process expansive and grounded in a well-organized learner-driven process: we prepare for the tweetchat by reading something or watching a video; then we learn through the live tweetchat exchanges; then we create the learning object that immediately becomes part of the body of work available to us and to subsequent learners. And, in the best of all worlds, the live conversation continues asynchronously through additional tweets, through blog posts like this one, through our extended conversations on Facebook, and in numerous other ways limited only by the imaginations and willingness of the ever-expanding circle of participants or community of learners over a period of hours, days, weeks, months, or even years to continue learning together. It’s a concept meticulously described by Pekka Ihanainen and John Moravec in their paper about “Pointillist time”—what they refer to as “a new model for understanding time in pedagogical contexts”—and one I’ve been exploring in a wonderfully Pointillist time frame ever since I came across it while participating in another connectivist MOOC (#etmooc) four years ago. There’s no denying this can be a messy process—one that requires a great deal of patience with ambiguity and a willingness to react innovatively to whatever comes our way. Even though there is a clearly-identified starting point (the tweetchat), the conversation soon extends rhizomatically through numerous very-loosely-connected platforms (as I mentioned earlier). This is clearly learning at an extremely high level, for highly-motivated learners who find pleasure in the struggle to innovatively respond to a constant stream of new challenges that have the potential to produce transformative results. It becomes easier and more pleasurable, as I was reminded last night, with consistent practice—the same sort of practice an athlete or ballerina dancer engages in to develop muscles. (I felt, at the beginning of the session, as if my tweetchat muscles had become a bit flabby for lack of recent use.) And it helps to have learning facilitators who support us by offering guidance before, during, and after the formal learning event occurs. Most importantly, this level of learning and engagement in contemporary learning opportunities helps us become comfortable with the idea that the intentionally overblown and completely unrealistic challenge I posed at the beginning of this article (skimming 3,000 tweets in one hour) is part of a larger learning process—the process of realizing that in our dynamic, messy, rhizomatic onsite-online (blended) learning environments, success comes with accepting the fact that we don’t need to eat everything put before us on our learning plates. We have to willingly accept those portions we know we can digest within any given (Pointillist) moment, and ask for a virtual doggy bag to take the rest home with us for later consumption. N.B. — This is the second in a series of posts inspired by Season 3 of #IMMOOC. Reading as I prepare to dive into #IMMOOC (the Innovator’s Mindset massive open online course) Season 3, I’m once again coming face to face with how much continues to change in the way we train, teach, learn…and read. At the heart of this Connectivist MOOC is George Couros’s book The Innovator’s Mindset: Empower Learning, Unleash Talent, and Lead a Culture of Creativity, so the learning process begins with reading the Foreward and Introduction to the book. And therein lies a lesson very much worth experiencing and learning. Reading those first few pages of the print edition of the book brings us in contact not only with Couros’s lovely writing voice, but also, not surprisingly, with a variety of additional resources through references to videos and a few other books. Nothing revolutionary there…until we decide to take advantage of absorbing the book’s contents by pursuing all available contents, including those videos. So, instead of doing what I’ve done in the past—reading the text and promising myself that I would go back to the “extended content” that includes those videos and other books, I’ve taken a more leisurely approach this time around. When Couros mentions Dan Brown’s “An Open Letter to Educators” video (accessible on YouTube from my laptop or mobile device), I take the 6.5 minutes required to watch the video, then return to the book with a far deeper, visceral, engaging understanding of the point Couros is making about the need for us to change our approach to teaching at the moment I’m reading these words. And when he includes a quote from 17-year-old TEDx presenter Kate Simonds’ “I’m Seventeen” talk, I bring her right into my learning space (and hear her plea for more collaboration among learners and learning facilitators) by watching the 13.5-minute video of that session before returning to the printed pages of the book that now, for me, includes that encounter with Simonds. And when Couros writes about how the O2 commercial “‘Be More Dog’ illustrates how a decision can lead to extreme and positive changes,” I follow the link and enjoy a good, thought-provoking moment courtesy of the access I have to that commercial via YouTube so it, too, is part of my reading experience today. Couros writes, on p. 7, that the book “is all about how we can make the most of learning to create meaningful change and provide better opportunities in our schools.” From where I sit, I believe it also shows how our onsite-online “blended learning” landscape offers us training-teaching-learning-doing opportunities we have not had until recently. It also offers us the opportunity I’m documenting here to step back from our own learning, while engaged in the learning process, to see how something as simple as the act of reading continues to evolve and affect us in ways we are not adequately noting. It’s a theme that also came up recently among those of us participating in the latest episode of Maurice Coleman’s wonderful biweekly library training-teaching-learning podcast T is for Training. We were engaged in a conversation about a resource (“Liberating Structures”) we had been exploring, and I temporarily stopped the conversation by noting how “blended” our session had become. The four of us on T is for Training were physically sitting in our offices on opposite coasts of the United States, learning from each other through that dynamic virtual learning space created by Maurice’s fabulous online-facilitation skills that fostered an online discussion that immediately became an archived learning object (created, in true Connectivist fashion, by the learners themselves) for anyone else who wanted to access it online as soon as it was posted. And our discussion—in a way that parallels what I’m experiencing as I read a blended printed-online version of The Innovator’s Mindset—seamlessly moved back and forth between the online resources we were reading-exploring-citing while carrying on that online discussion. This is the act of reading as part of an ever-expanding conversation that connects live and asynchronous participants in ways that bring new learning opportunities to us in an approach limited only by our imaginations, our online-search skills, and our access to the technology that puts those resources and participants into our reading-learning spaces. My exploration of this expanded version of reading a book in preparation for the live IMMOOC session online today comes full circle as I come across citations from a few other books. There is one I have already read in print format, so Couros’s quote from the book rekindles the pleasure of recalling and re-using material already read and absorbed; it becomes woven into my current reading-learning experience and, in the process, gains new life. And as I come across a couple of other references, I quickly find excerpts online from those books so I can skim them and make them part of this immediate reading experience, if time allows, before the live session begins. Couros, in referring to the “Be More Dog” video, tells us that “[t]he line from the video that resonates most with me is, ‘Look at the world today; it’s amazing.’” And as I prepare for the first live, online interactions I will have with my #IMMOOC colleagues later today, I’m struck—as I always am by first-rate learning experiences—by how amazing the changes in reading and learning continue to be…particularly with the added perspective of an innovator’s mindset. N.B. — This is the first in a series of posts inspired by Season 3 of #IMMOOC. And in the course of our conversation in a neighborhood coffee shop here in San Francisco’s Inner Sunset District, we realized how much our work has in common even though it starts from very different directions. In magic, as in learning, some of the most exciting moments are grounded in the unexpected and the engaging. In magic, as in learning, we arrive with expectations that, when set aside, produce something memorable. And in magic, as in learning, each revelation leaves us viewing the world a bit differently than we did before the transformative moment occurred. It’s possible, DePass suggested, to overthink magic—just as it’s possible to overthink learning. And that’s when my own DePassian moment of revelation magically occurred. While we are (understandably) asked to document results in learning to justify learning in business terms and I don’t at all disagree with the idea that learning can and often should produce something quantifiable, I believe we miss what DePass and his colleague would refer to the “art” of learning. Recognizing that learning can sometimes just be about learning actually paves the way to produce more concretely justifiable results. Many of us involved in training-teaching-learning know the pathetically meager results our efforts produce. Resources including The Six Disciplines of Breakthrough Learning: How to Turn Training and Development into Business Results (second edition written by Calhoun Wick, Roy Pollock, and Andy Jefferson) document the obvious problems and offer an engaging roadmap to creating learning opportunities that produce positive results. But in our rush to produce those “metrics” that are meant to justify the time and expenditure invested in supporting workplace learning and performance, we forget the foundations for some of the most enduring and memorable school-based learning experiences we’ve had throughout our lives. Our best and most effective learning facilitators were those who reached us where we needed to be reached, inspired us with curiosity and appreciation for the value of learning, and helped shape us into the successful and avid learners we became in the course of becoming valuable in our workplaces and beyond. When we learn how to learn and, more importantly, develop a deeply-rooted appreciation for the learning process itself, we are nurturing a skill that helps us become successful in the lifelong learning efforts that keep us competitive and sought-after in the challenging world we inhabit. It’s hardly a new idea that magic and learning are inextricably interwoven. 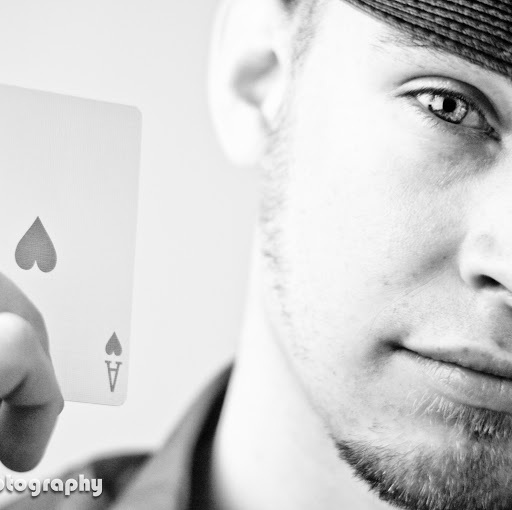 Illusionist Kevin Spencer’s wonderful paper “Hocus Focus: Evaluating the Academic and Functional Benefits of Integrating Magic Tricks in the Classroom” offers a fascinating exploration of the topic. A #lrnchat conversation form February 21, 2013 (transcript retrievable by using “magic in learning” as the search term in the site search window) produced an engaging hour-long online exploration of the topic. 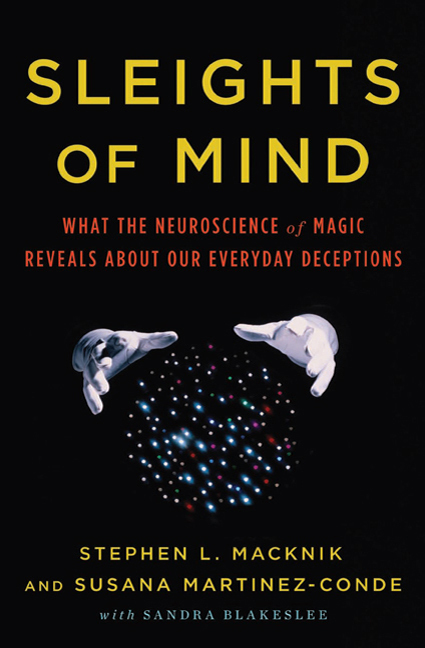 And Stephen Macknik and Susana Martinez-Conde, in their book Sleights of Mind, review the cognitive neuroscience—the neuromagic—of how our brains process the magic tricks we see. Pulling all of this back to DePass and his burning wallet brings us back to one more of those unexpected moments where magic and learning overlap. He and I were meeting, at a the suggestion of a shared colleague, so he could learn more about the possibilities open to him if/when he and his wife decide to move from Denver, where they currently live, to San Francisco. Still relishing the sight of that burning wallet, I decided to extend the moment by telling one of the waiters—who had not seen the now-extinguished flames—that we wanted another glass of water as soon as he could bring one to us; before he could turn away, DePass demonstrated the immediate need by reopening and reigniting his wallet. As soon as the waiter stopped laughing, he asked DePass whether he was free this coming Saturday afternoon and explained that he wanted to explore the possibility of bringing a bit of close-up illusionism to his seven-year-old son’s birthday party that afternoon. And as if by magic, we all learned that DePass’s possibilities here in San Francisco were far better than even he might have imagined.